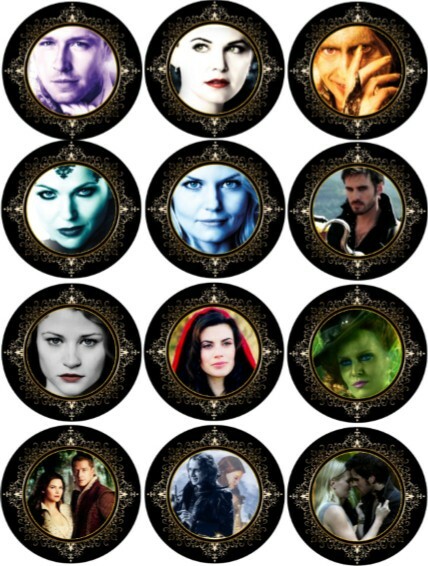 Once Upon a Time Party ideas, printables, and games for a OUAT theme. 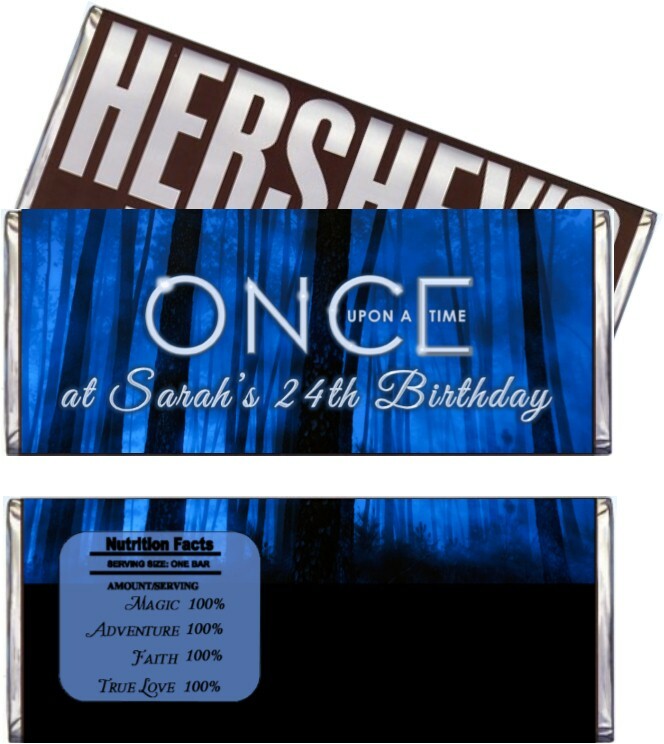 Once Upon a Time there you decided to throw a Once Upon a Time party, now you’re looking for ideas! Well I guess you’re the wizard sent you to the right place because I have what you’re looking for. 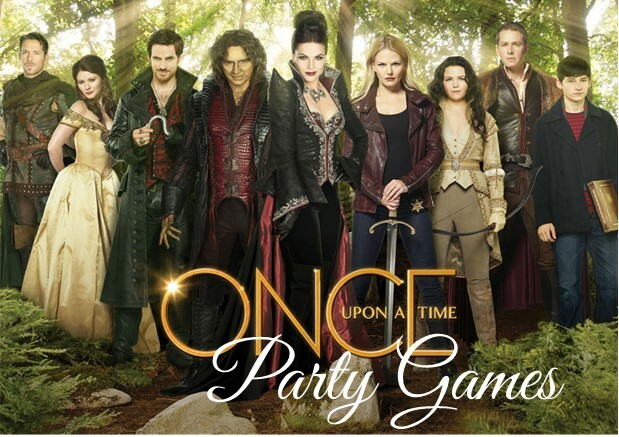 The following OUAT party ideas are perfect to make sure your party feels more like a ball than a curse! 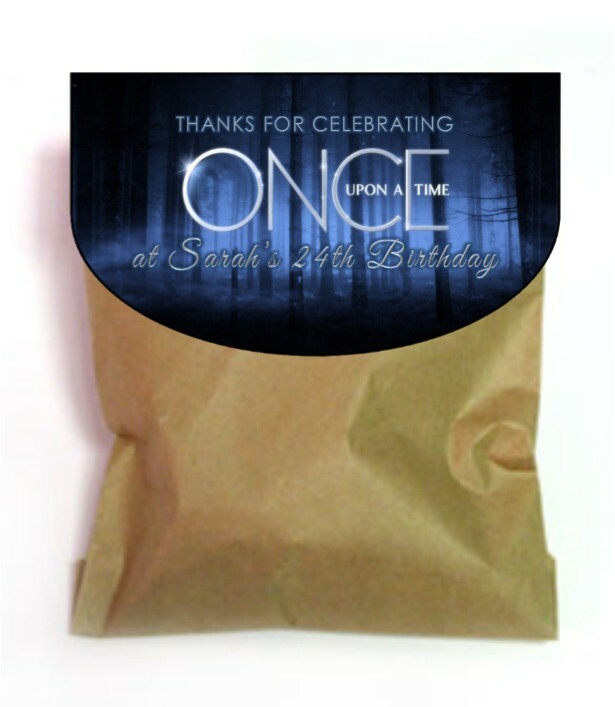 My OUAT printable party set will make throwing this party so easy it will almost feel like magic. 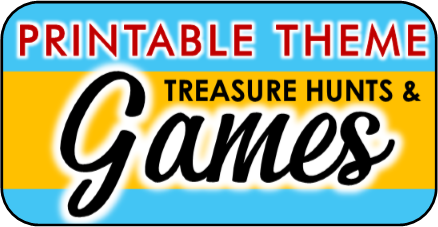 In this game everyone gets a “curse” and the goal is to get rid of your curse by giving it to someone else without them realizing it. TO PLAY: At the beginning of the party give everyone a clothes pin. Each clothes pin is considered a curse. The goal is to get rid of your curse by attaching it to someone else’s person (such as the back of their shirt) without them realizing it. If they don’t catch you within 10-15 seconds after you have placed the curse on them then the curse is now theirs. If they do catch you then you have to take your curse back and pick up another one. 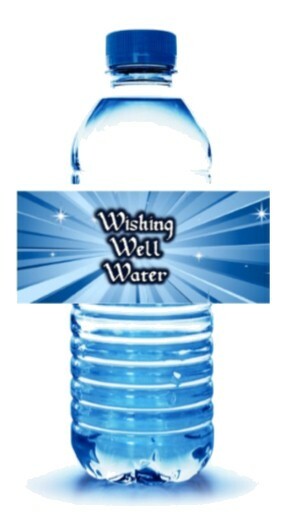 Have a bowl of extra ‘curses” for people who aren’t as sly as they think they are. At the end of the party whoever has the least amount of curses wins, and whoever has the most amount of curses, well… I’m sure you can think of a fun penalty. 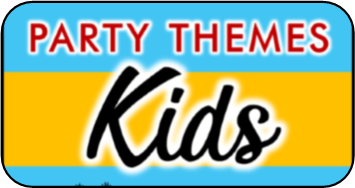 When your guests arrive at the party assign them each a different once character, if you have a lot of guest you can assign the same character to multiple people but let your guests know this is the case. The goal is to try and guess what character the other guests received. Guests can mingle and ask questions to other guests about their character and players have to answer truthfully, but the questions can only be yes or no. Once a person thinks they have figured out a player’s character they must tell the host, but not so loud that other people can hear their guess. If they are right they get a point. The first player to three points wins! “Detective”, all the others should say Victim. Have everyone sit in a circle and choose a card. No one should show their card to anyone else. 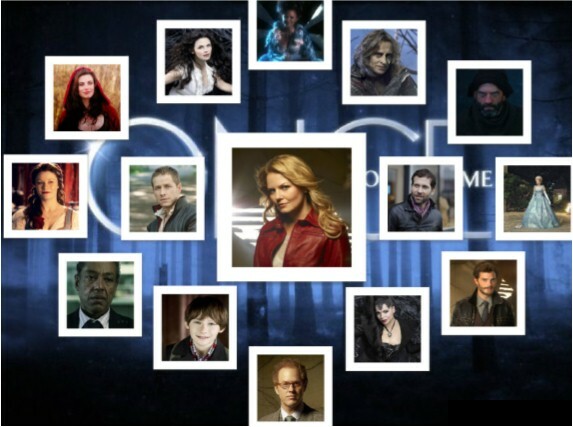 The person who drew the Detective must go sit in the center of the circle. 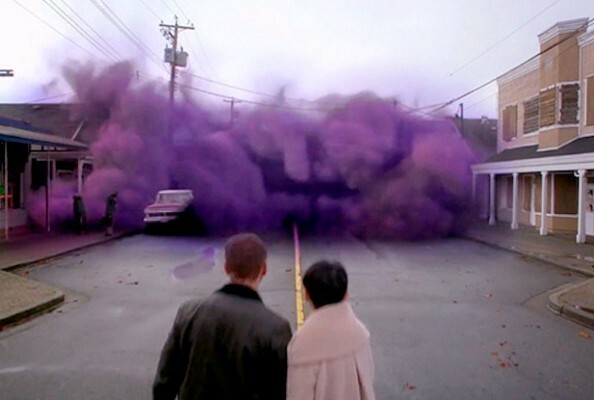 On the start of go the person who drew the poison can begin poisoning people. To poison them all she/he needs to do is make eye contact and stick her/his tongue out at them. If one of the victims gets poisoned they must wait five seconds then fall down dead. 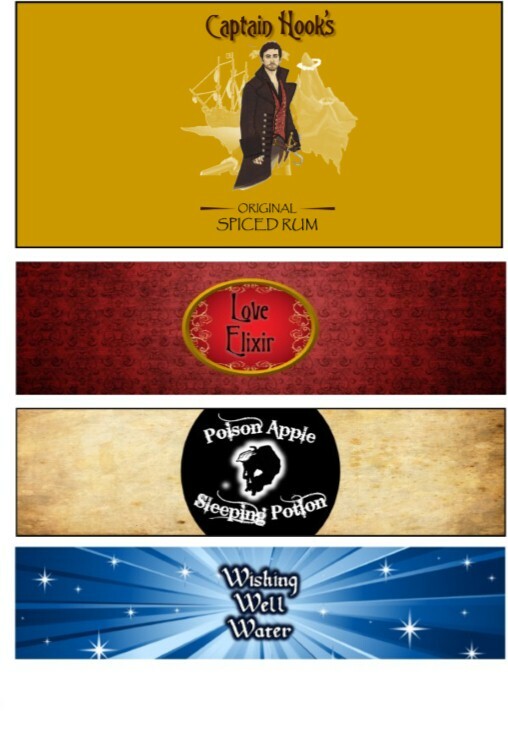 The detective must try and figure out who the poison apple is. Once he/she does the game starts again. The detective who guesses the poison apple before the least amount of casualties wins. Give everyone three index cards, one card with the number 1, the next 2, and then 3. Now have everyone at the party stand before the group and tell three facts about themselves, two being true facts one being a lie. Everyone in the group must raise their card to guess if the first, second, or third fact he/she gave was the lie. The teller can then reveal the answer. Keep score and give everyone a point who guesses correctly. The one with the most points after everyone has gone wins! First, have all the fella’s leave the room. Now have all the ladies at the party lather up in red lipstick and then make a kiss mark on an index card. Right a number on each one of them, and write down which number belongs to who so you don’t lose track. Now have all the guys come back in. They are challenged to guess whose lip print belongs to who. They can only use each girls name once and they must make a guess on all the cards. The reward, they get to kiss the girl if they guess her print correctly. If you do not want to use real kisses you can reward a bag of Hershey chocolate kisses to whoever gets the most correct guessed. This game will bring out the heart crushing evil in everyone… well, that is if the hearts in questions are balloons. Divide everyone into pairs, and provide each pair 10 inflated red balloons. These are the hearts! Set the timer for two minutes, each pair must try and pop as many of the balloons as they can within that time frame. This game is played against the clock. Everyone is divided into pairs and must blow up at least 10 balloons per pair. Divide the players into two teams. One team sits on one side of the dining table, the other sits on the opposite side. The first team is given the hook (plastic costume hook works great) which they pass between themselves under the table while making minimizing movements so that the other team will not know which person on the team is wearing it. When someone in the other team thinks they know who has the hook, they must shout “Pirate!” and point out their suspect. The accused player must stand up and reveal whether they in fact are the one who currently has the hook hand. If they are the pirate, then guessing team wins a point. 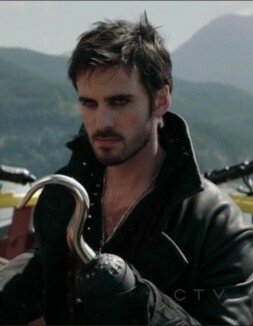 The hook is then passed to the other team for their turn. If not, the game continues as it was. The team with the most points wins. 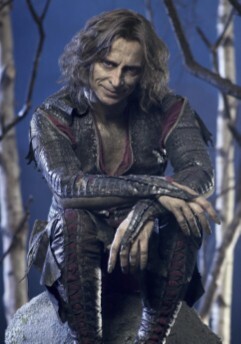 Whether it be in the name of good or the name of evil people are always going to Rumpelstiltskin to make a deal. But as you know magic always comes with a price, and there’s always a price for making a deal with the dark one. In this game players are divided equally into two team… good vs. evil. A deck of cards is also divided into red cards and black cards. The black cards are spread out face down in front of the evil team and the reds cards are spread out face down in front of the good team. Cards are called spells or spell cards. To start each round one player on each team must be put up for anti (the cost of magic). Each side can now draw a spell card. They can look at their spell card, but they must not show the other team. The goal is to cast a stronger spell than the other side. The strength of the spell is determined by its numerical value. (number cards are face value, jacks 11 points, queens 12 points, kings 13 points, Aces 15 points) It's kind of like the card game of war. Now is the time to make deals. If one side doesn’t feel good about the strength of the spell (numerical value of their card) then they can anti up another player for the chance to draw another spell card. If they don’t like that spell card either they can anti up a third player for the ability to combine the value of both of their spell cards. 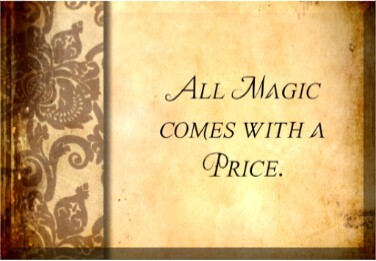 Once both teams have made all of their deals they can cast their spells (lay down their cards). The team with the strongest spell (highest numerical value) gets to bring all the players in anti to their side. The first side to have collected all of the players wins! 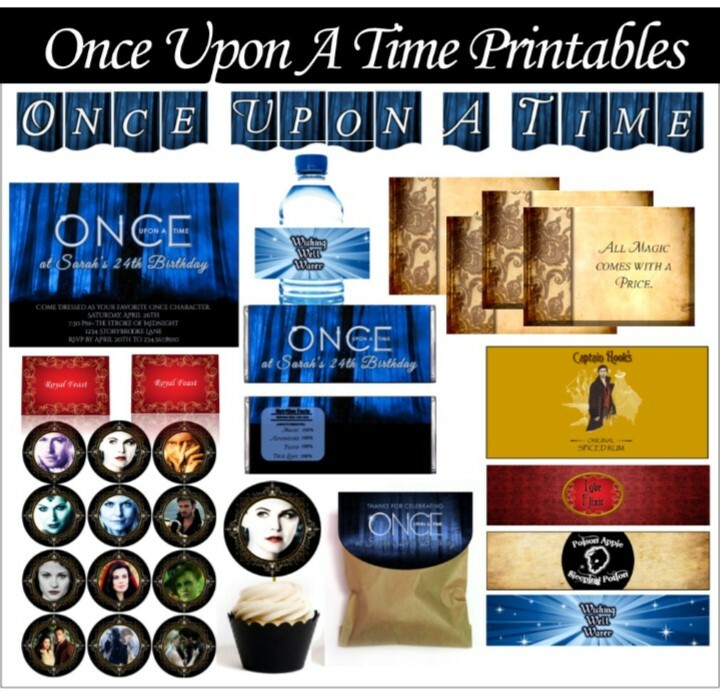 The OUAT printable party supplies set comes with everything listed below. 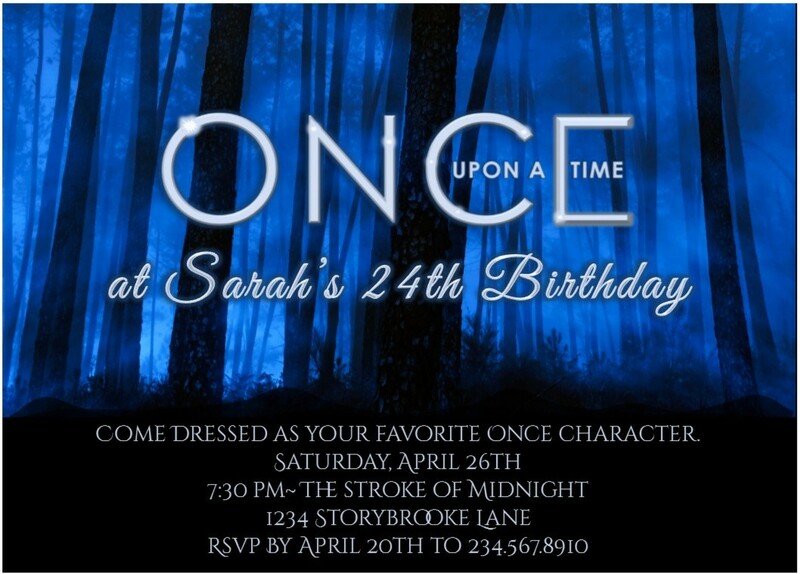 CLICK HERE TO GET YOUR SEE MORE PARTY PICS AND GET YOUR ONCE UPON A TIME PRINTABLE SET!